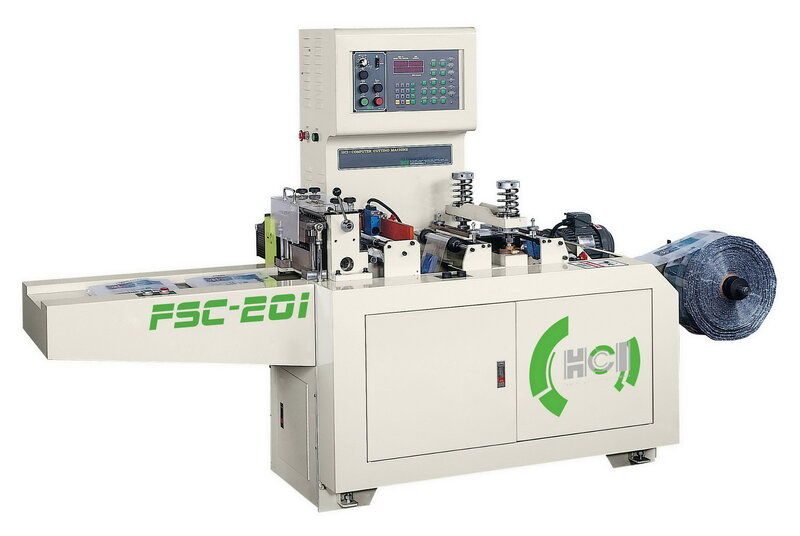 High Speed Cutting Machine(FSC-201 Pvc) - HCI Converting Equipment Co., Ltd. This cutting machine is suited for perforating and cutting operations for various shrink labels (shrink sleeves). It provides flexible cutting profiles of the product. Also for electronics, computer and optical materials, film roll and foil roll cutting operations. The AC motor driven unwind dancing roller unit for auto speed varied and assures that the most stable web feeding even under high speed cutting machine operation. Equipped with perforating device which can easily adjust the pressure and position. The cutting length is accurately controlled by servo motor incorporated with a German made photocell sensor for greatly upgrading the production speed. Equipped with static electricity removing device.